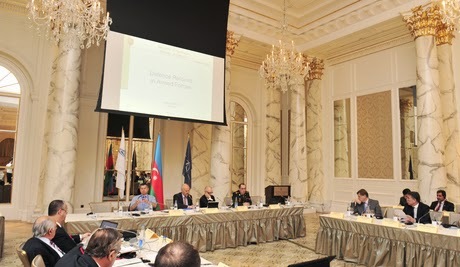 The first day of the NATO Parliamentary Assembly’s Rose-Roth seminar in Baku, Azerbaijan, on 16 June 2014, was marked by exchanges between Azerbaijani and Armenian parliamentarians on the protracted conflict over Nagorno-Karabakh. This was the first time an Armenian delegation was able to attend a NATO PA seminar in the Azerbaijani capital. Armenia's Defense Ministry says two Armenian soldiers were killed in the latest skirmishes between Armenian and Azerbaijani military forces. According to the ministry, one soldier was killed near the border with Azerbaijan's breakaway region of Nagorno-Karabakh on June 19, while another one died in a shoot-out near Armenia's border with Azerbaijan's Naxcivan Autonomous Republic. 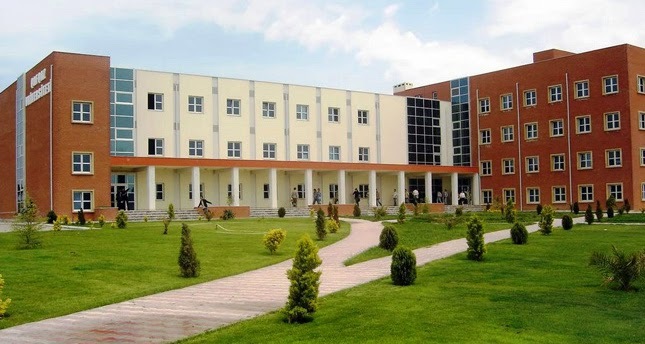 Meanwhile, media reports in Azerbaijan say two Azerbaijani women and a girl were wounded after being shot by Armenian solders in Tovuz district near Nagorno-Karabakh. European Commission President Jose Manuel Barroso declared that EU will resume the development of the Trans-Caspian Gas Pipeline (TCP), Tengrinews reports citing IA Novosti-Kazakhstan. In an interview published by Azeri Turan Barosso said that the EU will move forward with the project, which is a part of the Southern Gas Corridor, an ambitious plan to bring gas from the Caspian Sea and the Middle East to Europe. “The EU is interested in receiving additional volumes [of gas] that TCP could bring and its positive impact on the security of supplies to Europe, and will continue to work constructively to make this happen,” Barroso said. Barroso called TCP a “mutually beneficial project that serves the strategic and commercial interests of all the partners”. He also pointed out that Azerbaijan and Turkmenistan were strongly committed to the project. “We are still in the planning phase and we hope that the laying of the Southern Gas Corridor will contribute to accelerating the discussions for the TCP as well,” EU Commission President said. 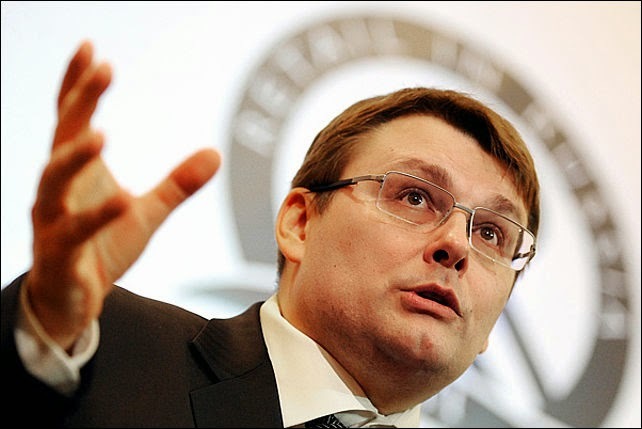 Russia will sign a contract to lay the South Stream pipeline across Austria during President Vladimir Putin’s visit to the country on June 24, Presidential Aide Yury Ushakov told reporters Friday. Austria initially planned to cooperate with Gazprom in the South Stream, but later decided in favour of the Nabucco pipeline, pushing Gazprom to plan the South Stream route through neighboring Slovenia. Russia and Austria resumed their talks on the issue, when the Nabucco West project lost Shah Deniz gas pumping rights to the Trans-Adriatic pipeline. Pakistan wants to be a full-fledged member of the Shanghai Cooperation Organization (SCO), the potential of which is growing, Sartaj Aziz, an advisor to the prime minister of Pakistan on national security and foreign affairs, told ITAR-TASS on Friday. “The next SCO summit due in September in Dushanbe is expected to adopt admission rules for new members, so we will exert more efforts to further our application for full-fledged membership in this organization,” he noted. Intelligence and military sources told Dawn.com that Abu Abdur Rehman Almani is considered a key commander of the Islamic Movement of Uzbekistan (IMU), also now famous by the name of Islamic Movement of Turkestan. The IMU, an organisation of militants mostly from the central Asian Uzbek state, had claimed that its suicide bombers carried out the attack on the Karachi airport. There are also reports of some East Turkestan Islamic Movement (ETIM) terrorists also killed in the strikes, considered a big blow to the Tehreek-i-Taliban Pakistan (TTP) and the ETIM network in the North Waziristan Agency. However, there was no confirmation from the military on the identity of the deceased. Thirteen mobsters were killed and three policemen were injured Saturday morning in an attack on a police station in northwest China's Xinjiang Uygur Autonomous Region, the local government said. No civilians were hurt, according to the regional information office. The gangsters drove a truck to ram the building of the public security bureau of Yecheng County in southern Xinjiang and set off explosives. Police shot and killed 13 attackers at the scene. Three policemen were slightly injured.